Ever since potential viewers were first offered a sneak peak of Michael Fassbender in costume for his starring new role in the forthcoming Assassin's Creed feature film adaptation, players of video game developer Ubisoft's best-selling historical action-adventure series have been clambering for more glimpses from the set. Little has come to light regarding the central plot of the new movie, though well-versed fans no doubt know that Fassbender will be portraying an assassin temporally situated in Spain during the 15th century. As further details continue to emerge about the film, those who are interested in seeing more images of the actor in character on set in Malta may have finally been given what they've been hoping for. In a recent Facebook posting from the Spanish film website Skript.fr, a number of amateur shots of the film's star actor donning his now familiar assassin's garb have recently appeared online. The images themselves are grainy and out of focus, but it would appear as though it is in fact Fassbender himself walking the streets of the historical motion picture set, with production equipment and crew close by. Aside from those elements, it looks as though the sets are plenty detailed, with period-specific weapons and structures on display, as well as at least one conveniently placed pile of straw being prominently featured in the photos. There is little more to remark on the specifics of the forthcoming motion picture based on what can be seen in the featured images, though it would appear as though Fassbender, for one, is having a good time of it. Cutting a dashing figure against the Spanish locale, these new set photos should offer fans of the series plenty to tide them over until more official information about the production is released from distributor 20th Century Fox. It's still early in the course of the film's production, and with little to go on about the new movie beyond images from the set such as these, it's impossible to make any pronouncements on the respective merits of the feature, sight unseen. Until more details emerge, fans will just have to wait for more pertinent information about the cinematic adaptation of the popular video game franchise. 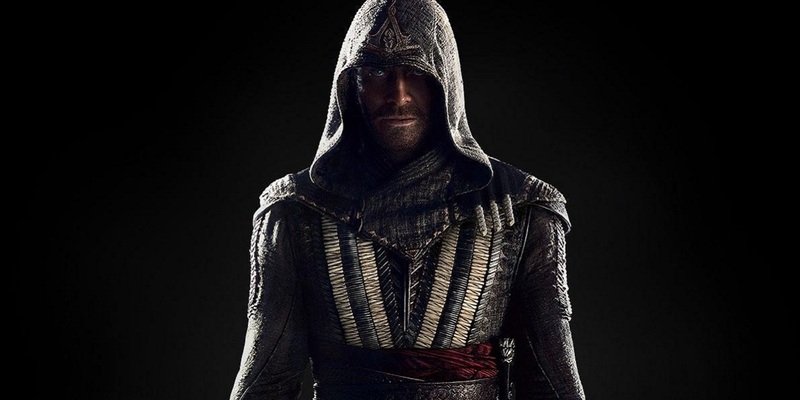 Assassin's Creed will see theatrical release on December 21st, 2016.